Custom iPhone & iPad applications for your business! 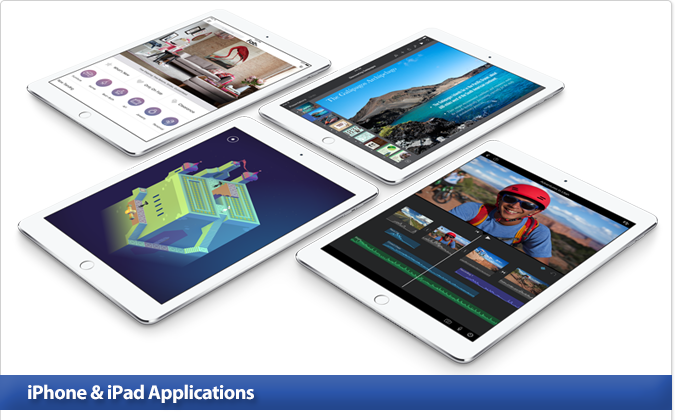 When your business requires an on-the-go application for the iPhone or iPad, the experts at The Inter Connect Network (ICN) will carefully guide you through the process. From design specification and coding to implementation and support, ICN provides a complete turnkey solution. Put the experts on your team! With years of design experience, the experts at ICN will see to it that your custom iOS App will keep your employees productive and make your customers happy. We'd love to meet with you and discuss your ideas. Let's schedule a meeting and talk about it. Make ICN part of your team! Give us a call and find out how we can help you design a custom iPhone or iPad App. Our experts will come to your location to discuss your situation with your team.